Clothing Department The Clothing department produces sports clothing of all types from casual sports wear to competition suits made from technologically advanced materials. This department employs about 1,200 workers and produces over 25,000 pieces of sportswear per day. Ball Department This is FBT's largest department. It produces over 10,000 balls per day, with 70% of the production being exported worldwide. The ball manufacturing facilities of FBT is comprehensive from the manufacture of the rubber used to the production of the decals needed for decoration. 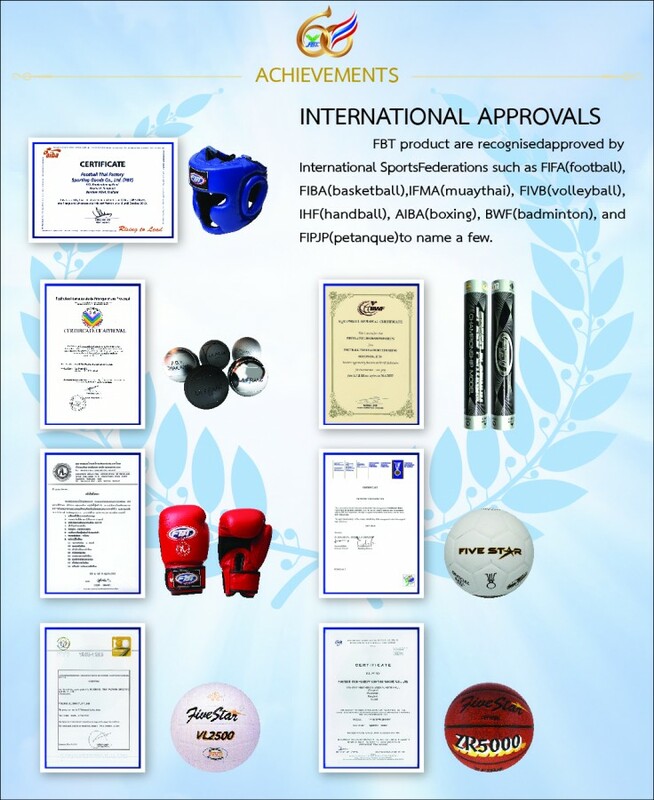 From rubber to synthetic leather PU or PVC, FBT produces various balls - footballs, basketballs, volleyballs, handballs, rugby, American footballs, playground balls, medicine balls and many others, in varying sizes according to international specifications.FBT balls are recognized and approved by international sports federations such as FIFA (football), FIBA (basketball), FIVB (volleyball) and IHF (handball), to name a few. Rackets Department FBT produces tennis, badminton and squash rackets made from steel, aluminum and graphite. Every step of the rackets production is made at Factory from the frame making, grip, covers and stringing. Shoes Department The Shoes Department produces 2,000 pairs of shoes per day, and a large portion is also exported. The Shoes Department is not limited to producing just FBT soccer, athletic and boxing shoes. It also produces casuals and trendy designs for export. Petanque Boule Department FBT uses the most advanced technologies in metallurgy, welding, titanium coating and surface finishing for the production of its petanque boules. It uses various types of quality steel and an innovative manufacturing techniques such as friction welding. Boxing Equipment Department This department produces various gloves for competition and training, head guards, chest protectors, punching bags and other training accessories. 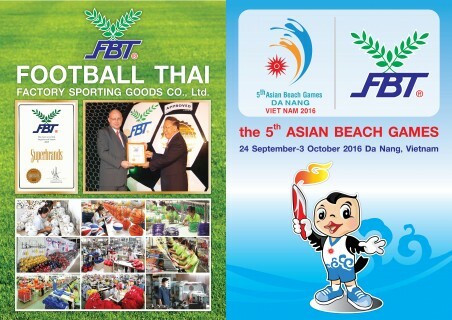 From time to time, FBT produces equipment that are also used by other martial arts like taekwondo and karate.